Tickets available! Purchase Tickets Now! Be part of the fun! And it’s all for local charities. Save the date: April 27, 2019 for our next blockbuster fundraising Event. Tickets go on sale in January 2019. 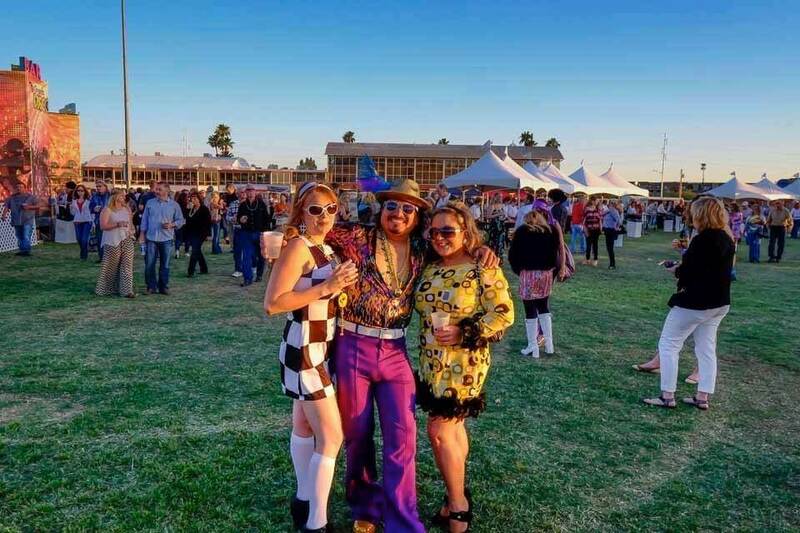 Join more than 300 of our local business and sponsor the 2019 Charity Fundraising Event. Supporting local charities in providing healthcare, education and mentorship services to our community’s most underserved members, particularly children’s health. The Centurions represent our community’s most prominent business and civic leaders. Learn more about our service organization. Action Equipment and Scaffold Company, Inc. Built on over 65 years of quality & experience. We sell, rent, erect and dismantle frame scaffolding, system scaffolding, suspended scaffolding, steel shoring, mast climbers, hoists and many accessories. Advantage Air Mechanical provides air conditioning, heating, plumbing and refrigeration services including reactive service, preventative maintenance and new installations for Residential and Commercial customers throughout Southern Arizona. Advantage Air Mechanical has an in-house custom architectural metals fabrication facility for all metal fabrication needs. Together with top mechanical engineers, architects, and our company’s trained staff, we offer professional services a cut above the rest, both to our customers and our employees. Advantage Air Mechanical prides itself in providing real comfort solutions to real people. Our goal simplifying professional office & home comfort system services for our customers. Experience, Integrity and Dependability assure you of the quality you deserve. Web Design & Digital Marketing. We believe the web has the power to transfer business. We're passionate about seeing that result in changed lives. Our mission is to deliver an online vehicle that is more than a static brochure on a shelf. We strive to create a vibrant marketing partnership that creates the value for you and your stakeholders. Your health and fitness demand no less than the best. We are the exclusive Southern Arizona dealer for the most respected names in fitness: Precor, Paramount, Vision Fitness, Hoist, Life Fitness, Vectra, Woodway and many others. We are Southern Arizona’s only Dealership with a staff of manufacturer trained & certified technicians. Repairs in house, in home, or at your business. Arizona Health’s service department is the PREMIER choice for your facilities. In 1991 native Arizonans Dennis and Tauna Arnold opened up Tucson’s first full mash brewery named Gentle Bens Brewing company. Fifteen years later they ran out of room to expand so they made the decision to open up their second brewery and offer their beers to other local bars and restaurants. Barrio Brewing Company continues to brew to meet the demands for their award winning beers and now is the third largest independent brewery in the state. 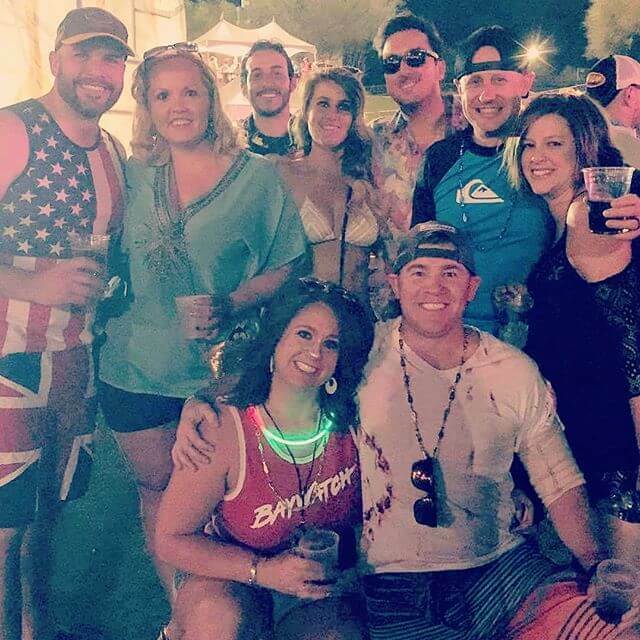 Twenty-seven years and still growing and constantly innovating to meet the ever changing desires of Arizona beer drinkers, Barrio is Arizona’s neighborhood brewery. From homeowners to contractors, architects and interior designers to the plumbing professional, we provide the best service, advice and brands around. We maintain the largest selection and inventory in Arizona of many top brands, which means you can count on us when you need to get your job done right and on time. Our 10,000 sq. ft. plumbing supply showroom features just about everything you'll need - most in stock - from sinks and faucets, toilets, showers to the most elegant whirlpool spa. Our knowledgeable team is trained to help you make the best product selection that will bring beauty and reliability to every project. Benjamin is located in the 100 year old Warehouse and Transfer Building at the corner of 6th St. and 7th Ave. As a family-owned business, we have been Keeping Tucson Flowing since 1950. Borderland Construction Company, Inc. is an award-winning, Southern Arizona, heavy civil contractor with a proven reputation for delivering quality workmanship on schedule and on budget. For more than three decades we have been improving our community's roads, bridges, drainageways, and utility infrastructure, as well as preparing sites for schools, churches, hospitals, residential developments, commercial centers and businesses. We also provide construction support for local industrial and mining operations. The Carondelet Foothills Surgery Center provides services to the rapidly expanding population of northwest Tucson. The Chapman Automotive Group has been deeply rooted in the valley since 1966, when Jerry Chapman and his young family moved from Mississippi following the acquisition of what would become Chapman Chevrolet. Today the Chapman Automotive Group consists of 24 locations and 18 brands throughout Phoenix, as well as Tucson, Payson and Las Vegas. The staff of Chapman Automotive is nearly 1700 people strong, and all are committed to delivering the best ownership experience possible. We welcome you and want to thank you for taking the time to visit our site. Collings CPA Firm, PLLC, a dynamic, forward-thinking Certified Public Accounting firm, has served the tax, accounting, and auditing needs of individuals and businesses in Southern Arizona since 1993. As a full-service firm, we offer a wide array of quality accounting, audit, and tax solutions that empower our clients to fulfill their goals. We serve a variety of clients including individuals, trusts, estates, businesses, employee benefits plans, and not-for-profit organizations. The firm’s management team has tremendous experience that covers the breadth and depth of accounting issues. They continuously update their knowledge through professional education, training, supervision, and peer reviews. Collings CPA Firm, PLLC is dedicated to providing our clients with exceptional accounting solutions delivered in a responsive, efficient, and cost-effective manner. Desert Earth Contracting was created in 2006 with a team of experienced and seasoned site development experts to perform site work and paving. 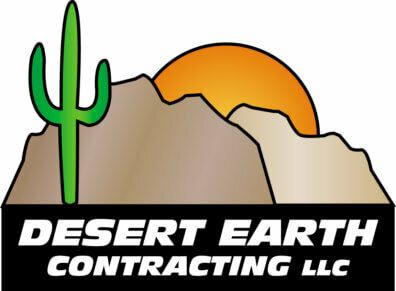 Over the past few years, Desert Earth Contracting has established itself as a top civil work contractor in Southern Arizona and has enjoyed a great working relationship with our customers, subcontractors and suppliers. Our commitment to our client is to consistently maintain the highest level of quality while delivering solutions and cost efficient results to meet the most demanding schedules. 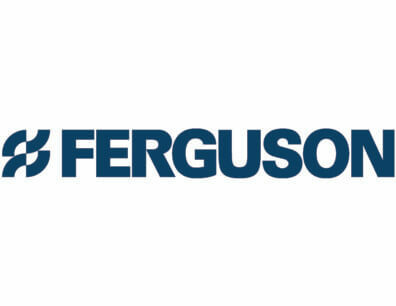 Ferguson raises the bar for industry standards as the top-rated wholesale supplier of commercial and residential plumbing supplies. However, our expertise goes beyond plumbing. We are a diverse distributor that spans multiple businesses including HVAC/R, waterworks and industrial. In the past 65 years, we’ve grown from a local distributor to a $16.7 billion dollar company with more than 1,400 locations and over 27,000 associates nationwide. Every step of the way, we serve communities and industries by connecting people with expertise and products to power success. Providing world-class customer service is a cultural belief that is demonstrated every day through our expansive product selection backed by our knowledgeable associates. Founded in 1998 by restaurateurs Paul Fleming and Bill Allen, the first Fleming's opened in Newport Beach, California. The vision was to create a unique steakhouse experience with an emphasis on generous hospitality, an inviting atmosphere and the very finest aged USDA Prime beef. In addition to inspired service and expertly prepared Prime Steak, our founders focused on an exceptional selection of wines for guests to explore. GEOST is a small business located in Tucson, AZ, founded in 2004 by Dr. Anthony Gleckler. We specialize in active and passive optical remote sensing and provide expertise in all phases of project development for electro-optics and sensors. Our strengths are in the following areas: EO sensor architecture development, including hardware, software, algorithms, and performance estimation. 2D image processing and 3D laser radar data processing; including algorithm development, real-time software, and data fusion. High fidelity EO sensor system simulation. Rapid prototyping of EO systems for risk reduction, proof-of-principle experiments. Segmented mirror systems, space optics, adaptive optics, and wavefront sensing. Hensley Beverage Company is a multi-generational, family-owned, local Arizona beverage wholesaler that distributes a wide portfolio of beverages, including Anheuser-Busch InBev (ABI) beers, top selling local and regional craft beers, premium non-alcohol beverages, and an assortment of fine wines and spirits. Over the past 20 years, we’ve earned a reputation for providing excellent customer service and superior IT support for businesses in virtually every industry. 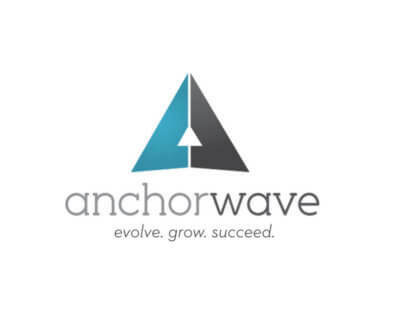 Our dedication to our clients is driven by the core philosophies and company values that guide our daily operations. JFN is a plumbing contractor that exclusively builds multiple dwelling unit projects. We've worked with development groups, and general contractors of all sizes t help them realize their projects, no matter where they go in the country. 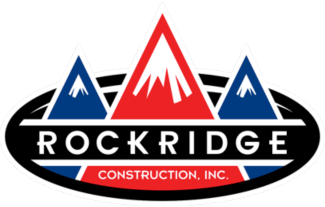 Our company's exceptional service and commitment to our customer's success has made us one of the must trusted subcontractors in operation. Lori Lieber Graphic Design creates compelling graphic design solutions for a wide range of clients, from small business to non-profits to large corporations. Services include brochures and other collateral materials, logos and identity packages, catalogs, advertising, Web and other electronic design, displays, signage, unique invitations and event promotions, books/book covers, and packaging. With over 40 years of experience in building and maintaining utility fleets, Maddock Machinery Corporation is recognized as the highest quality, most diverse and comprehensive light, heavy, and medium-duty, utility fleet up-fitter in the Southwestern United States. Locally owned and operated by Michael, Karen, and Justin Osborne. From its humble beginnings in an Iowa garage to today’s modern industrial plant in Tucson, Miles Label Co., Inc. brings to mind one important word: family. When Russell Hubert Miles began running a printing operation out of his Des Moines garage in 1912, he started a family legacy that lives on a century later. By 1930, he and his son Paul Wilson Miles, were printing labels and creating such specialty items as policy labels and business forms for insurance companies. Raytheon: One global team creating trusted, innovative solutions to make the world a safer place. Raytheon Company is a technology and innovation leader specializing in defense, civil government and cybersecurity solutions. Founded in 1922, Raytheon provides state-of-the-art electronics, mission systems integration, C5I™ products and services, sensing, effects and mission support services. Raytheon is headquartered in Waltham, Massachusetts. At Republic Services, we’re guided by five essential core values – to be Respectful, Responsible, Reliable, Resourceful, and Relentless in all we do, every day. Our highly passionate, professional team is reminded of these principles every time they see the five R’s joined together to form the Republic Services Star. It’s what makes us who we are, reminding us to keep our customers at the heart of it all. We keep it simple; we don’t offer fancy gimmicks, just professionalism and cutting-edge performance that delivers a solid job every time. We are unique in the plumbing industry because we believe you should stick to what you’re good at. We are good at plumbing, and we have kept it simple and stuck to what we know for 25 years. Over many years, we have equipped ourselves to do the various types of bank protection that we specialize in. We have specialized concrete pumps, specially developed for our kind of work, trucks equipped to handle our pumps and other work needs, numerous small tools for all gabion applications, and different heavy equipment needed for slope protection. Southwestern Dakotah, Inc. is a woman-owned, Native American owned, HUBZone General Contractor specializing in: new construction, additions, alterations, remodels, retrofit, underground utility, design-build, fire protection systems and more! Our purpose is to provide unparalleled construction services to government entities and agencies. The management of our construction projects will be based on the core values of the company: integrity, safety, quality and accountability. We will provide superior service in delivering top quality facilities that meet and satisfy real customer needs. We will continuously seek to improve our company through continuing education and real world experience. Established in 1977, Sun Mechanical Contracting, Inc. is an Arizona-based full service mechanical contracting and construction firm with offices/plant facilities in Tucson and Phoenix. We are committed to continuous improvement and customer satisfaction. With a reputation of excellence for four decades, we design, engineer, fabricate and install projects using a collective experience and level of expertise that few mechanical contractors have. Sun employs over 250 skilled tradesmen in the field and has the physical and financial stability to complete jobs on time, on budget and with the highest level of quality and performance. We constantly advance the idea of what an equipment rental company can do for its customers, through unmatched customer solutions, uncompromising customer safety, and continuous innovation. The Estes Co. is a multi-generational, full spectrum Tucson and Arizona real estate development company which has built over 35,000 homes in Arizona, developed master planned communities including Ventana Canyon, La Reserve, Rancho del Lago and Midvale Park as well as numerous office buildings and shopping center, including Loews Ventana Canyon Resort and Vail Water Company. The Horseshoe Grill is a local, family owned, made from scratch BBQ and Steakhouse restaurant. Local mesquite wood is used to enhance all in-house smoked meats and to provide that mouth watering taste to all grilled meats. Daily happy hours make The Horseshoe Grill the place to be! 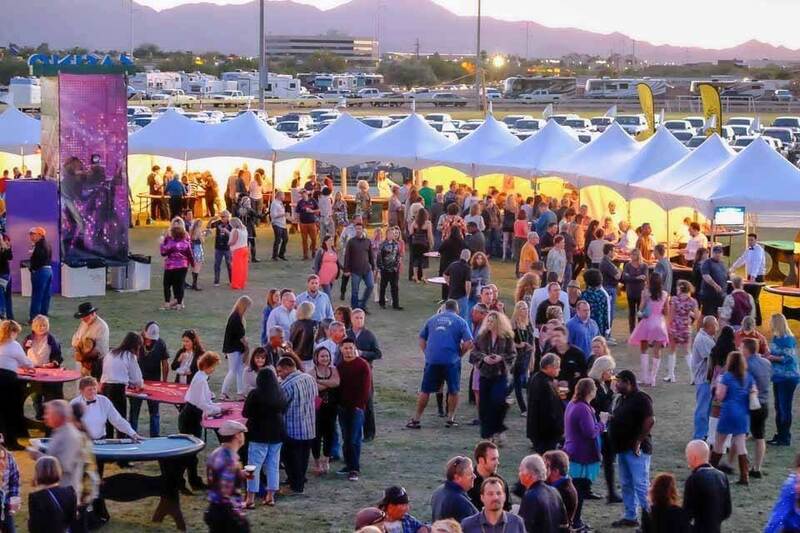 For over 17 years Tierra Antigua Realty has been working hard for Tucson and Southern Arizona’s Real Estate needs as well as staying hands on in serving our community through our HOPE Foundation. Thank you to everyone across our beautiful Sonoran Desert for helping lift us up to become the largest, locally-owned real estate company in Southern Arizona, with over 1000 agents! Tofel Dent Construction is a uniquely structured third-party general contractor specializing in commercial, hospitality, and multi-family housing construction in the Southwest. Formed in 1984, based in Tucson, AZ, and started by twin brothers- Steve and Rich Tofel- Tofel Dent Construction has completed a wide variety of projects throughout Arizona, New Mexico, and California. We believe in building lasting partnerships based on mutual integrity and trust. Throughout the development process, from our clients to our team of professionals, we participate fully in an environment of intense collaboration. This standard of performance has proven to be the best way to deliver a successful product. In fact, we measure our success by the success of our clients. These long-term relationships reflect our commitment to teamwork, service, quality construction, and integrity in every aspect of our work. Tucson Electric Power provides safe, reliable power to Tucson residents - and more. We offer customers a wide range of incentivized programs to help them reduce their energy costs and build a better future. Tucson Winsupply, a local plumbing distributor serving Tucson and surrounding areas since 1975. Our company has grown to serve multiple segments within our industry from service to new construction. The physicians of Valley ENT provide otolaryngology care for disorders across the entire spectrum of ENT medicine and surgery including pediatrics, ear disorders, hearing loss, dizziness, nasal and sinus conditions, allergy conditions, tonsil and adenoid problems, oral and throat cancer, sleep apnea, voice disorders, thyroid diseases as well as facial reconstructive and aesthetic surgery. Valley ENT also has a full staff of audiologists with advanced degrees at the Masters or Doctorate level to assist the physicians in the evaluation of hearing and balance disorders. No matter what the ear, nose and throat problem, the physicians and providers of Valley ENT can take care of the problem with expertise and caring. With 20 locations throughout the state, there is a Valley ENT office located to serve every patient's needs. Help fund local charities that serve our community’s most underserved populations–primarily in areas of healthcare, education, and mentorship, with an emphasis on improving children’s lives. 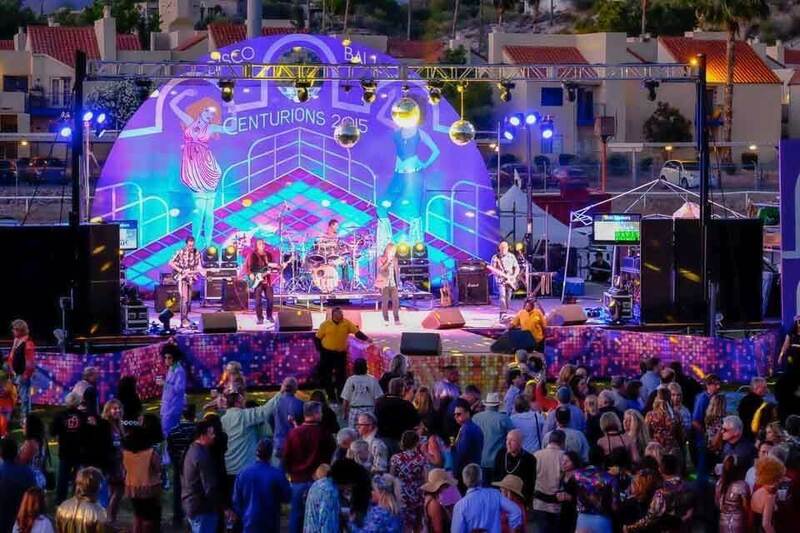 All net proceeds from The Centurions’ annual Event goes to select charities serving the greatest needs. Join with more than 300 of Southern Arizona’s businesses today to put your sponsorship dollars to work. 2017 Centurions Event "An Oz-Some Experience!" The Centurions party 50 years in the making is coming for you to recreate your memories and create new ones to cherish for the next 50 years! Tickets and sponsorships info in our bio link.